Banana's are good for heart and nerves, Bcoz they are rich in Potasiun. It helps the body's circulatory system deliver oxygen to the Brain. This also helps maintain a regular heartbeat and a balance of water in the body. Potassium is also helpful for reducing strokes and regulating blood pressure. 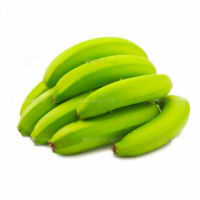 Banana's are high in fiber, carbohydrate that helps regulate digestive system.